Many countries have both surface mail and airmail services available for international destinations. The postage fee of course differs, airmail being more expensive as it arrives quicker than surface mail. 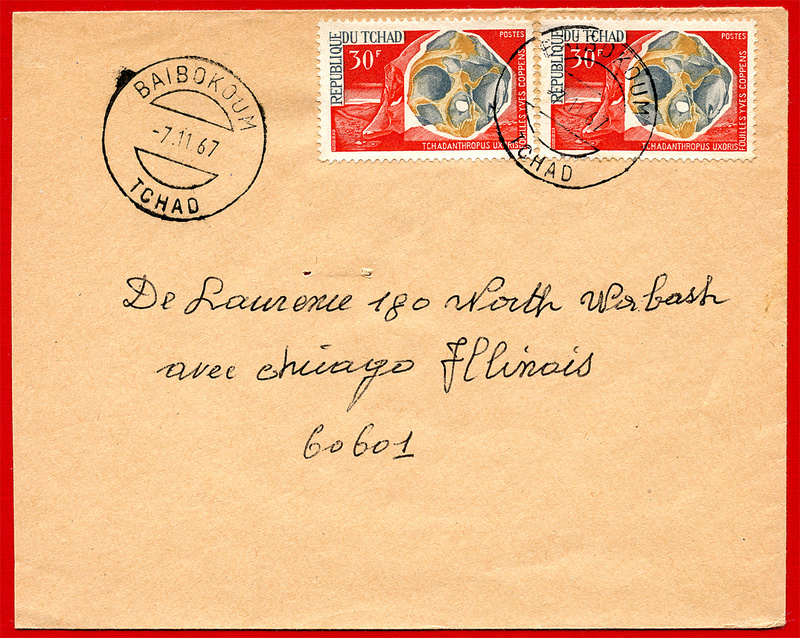 Surface rate cover dated November 7, 1967 from Baibokoum, Chad to Chicago, Illinois, USA. 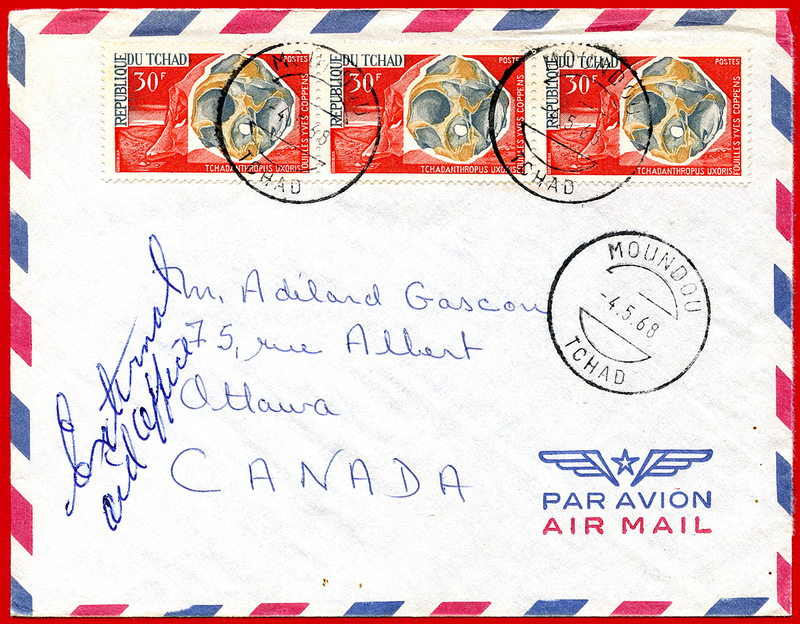 Airmail rate cover dated April 5, 1968 from Moundou, Chad to Ottawa, Canada. Tchadanthropus (uxoris) is the subject of debate as to where the fossil remains belong in the scientific classification system. There are arguments for it being an archaic Homo sapien (heidelbergensis), a synonym of Homo erectus and same favor a Homo sapiens classification. Still others indicate it should be considered an unidentified specimen as it’s condition doesn’t allow for accurate measurement even though it’s estimated between 700,000 to 900,000 years old.